Much of Monaco’s fame is derived from the days when the worlds of classical charm and technological innovation were meeting head-on. In those days new worlds opened up for a glamorous few as ‘modern’ cars, steamships and aeroplanes carried them across continents and oceans in search of new and exciting experiences. What made those halcyon days so special was the fact that it was all done with quite some elegance and style – not to mention opulence. 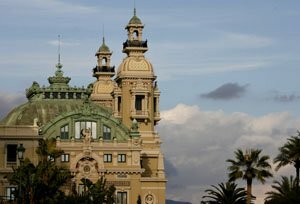 It was when baronesses were being wooed by oil magnets and respected members of the establishment distracted by dancing girls that Rolls Royces and Bugattis were pulling up in front of Monte Carlo’s famous opera house. Untold sums were made or squandered at the most elegant casino in the world, to be followed by a romantic sojourn on a handmade Riva speedboat, quite the latest thing. By the time Cary Grant and Grace Kelly starred in the Hitchcock classic To catch a thief in 1955, Monaco was already a classic in its own right. Adored by the international jet-set, it also managed to melt Grace Kelly’s heart as she married Prince Rainier and became his Princess Consort. The legend of Monaco had been cast, added to by the glamour of the Monte Carlo Rally, the Monaco Grand Prix and the many fashionable events on a star-studded social calendar. 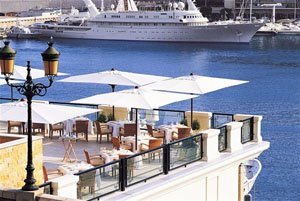 Over the years Monaco has retained its exclusive appeal thanks in part to its wonderful setting, its tax-free status and above all the ability to remain at the height of fashion no matter what the fad or trend may be. A magnet for wealth and sophistication, Monaco has retained its glamorous reputation, even though it has changed with the times to become a thoroughly up to date haven for today’s international jet-set. Some still daydream about the Monaco of old, when a young and vibrant Grace Kelly would come down the mountain road in a Porsche 356 and the principality still had an air of innocence about it, but to fair many of the best things associated with this little corner of privilege are still as pleasant as ever. Follow those same roads in an open top car, whizz past famous icons such as the palace or oceanographic museum on your way down to the marina and there aren’t many places you would rather be. Still a diamond that sparkles brightly on the map of the world, Monaco remains the place to see, be seen and live the high life. This entry was posted on Sunday, January 16th, 2011 at 12:34 pm	and is filed under General Interest, Travel. You can follow any responses to this entry through the RSS 2.0 feed. Both comments and pings are currently closed.